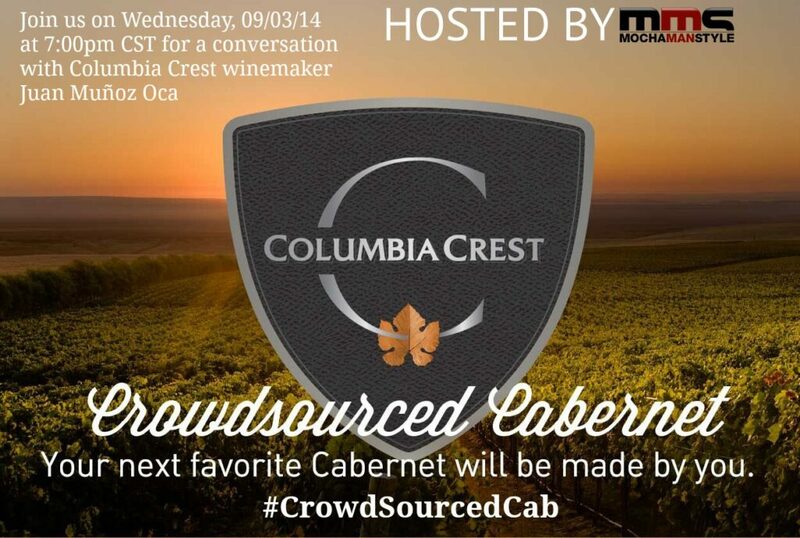 On Wednesday, September 3, 2014 at 7:00PM CST, Mocha Man Style will host a Twitter Chat with Columbia Crest Winemaker, Juan Muñoz Oca. If you’ve ever wanted know more about the art and craft of winemaking, you don’t want to miss this informative conversation. In addition to a stimulating discussion, we will also give away Columbia Crest gift baskets that will include include trivets, coasters, bottle openers, and other cool surprises to some lucky winners. You can RSVP by leaving your Twitter handle in the Linky below (You will have to input your Twitter name and URL (ie http://www.twitter.com/username) and following @columbiacrest, @munozoca, and @mochamanstyle on Twitter. You can also post post any questions you may have about wine or the winemaking process in the comments section below (Facebook or Disqus). We will pose them to Juan in real time during the Twitter chat.